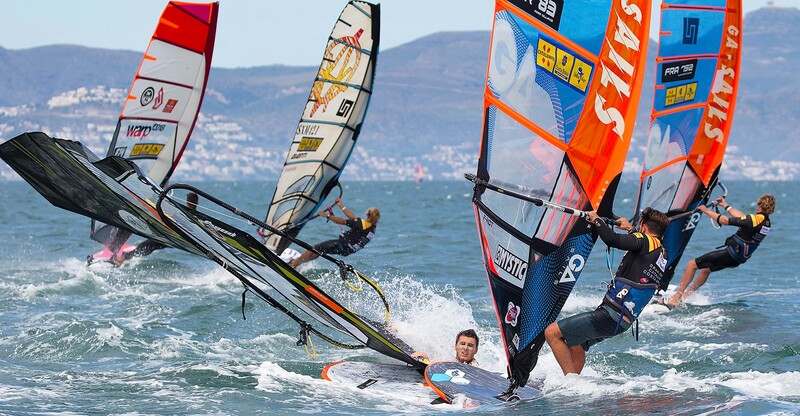 Costa Brava, often an extremely long week of waiting for suitable wind for slalom, but this year with Foiling on the program competition could be run every day. No less than 10 Foil eliminations could be completed with a lot of movement between the riders. This event had longer reaches than what was raced in Korea and allowed for more tactics coming into play. Foiling is a great addition to the tour, but we are sure that many will agree that the main focus of interest is Slalom. With just 3 days to go, the wind finally picked up enough for the Slalom crew to be bolstered and a course was set. The wind was light, guys on their big gear and with a unpredictable forecast, chances of running just elimination were high. Some big upsets quickly came into play, with early exits of some big names. Maybe the nerves were running paper thin, for many having sat around on the beach all week long waiting for this moment. Carnage around the marks, cost many their hopes for a place in the final. Quentel sailed safe in the initial rounds and kept himself out of trouble. Either coming in from above to steer clear of potential debris or getting to the mark in the first group to get out in front. Securing a place in the winners final secured Julien minimum an 8th place for the elimination. unfortunately a late start and not enough power to catch up with the lead, the result was a 5th which would also be the final result for the event as no further eliminations could be sailed. Julien now finds in himself in 7th place overall for the season thus far. 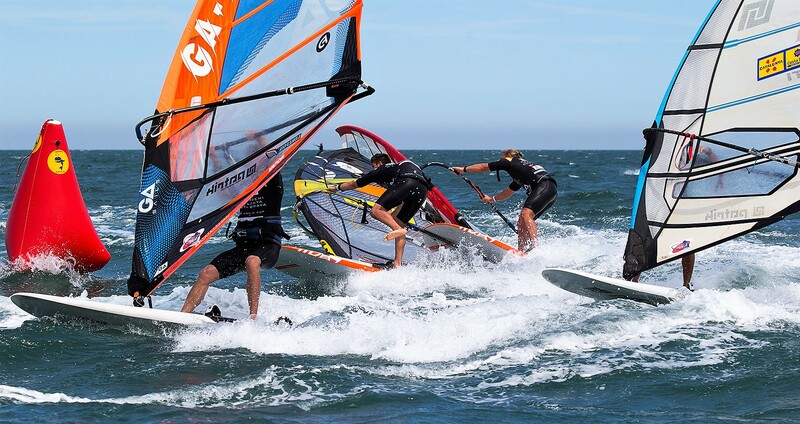 The next Slalom event coming up is new on tour and is in Portugal.! This is a unfamilur place for many, but we will closely follow the event via the livestream on the PWA website, as should you!